Celebrate #InternationalYogaDay with EkhartYoga by tuning in to their Facebook Live Stream Class with World renowned teachers Esther Ekhart and David Lee Lurey! The class starts in about 1.5 hours! You can virtually practice with fellow yogis from all over the world by joining in a 45-minute Yin-Yang flow. Esther and David will do a short Q&A right after the class. You can leave any questions in their comments on their FaceBook event page. Join me and grab your mat, wherever you are in the world, for non-edited fun! My favorite yoga site EkhartYoga is hosting a FREE mini detox challenge. 3 days of online yoga and healthy eating to promote a healthier you! Starting today, May 13th, you are cordially invited to join for 3 days of yoga and healthy eating! All you need to do is sign up and you’ll receive an email with links to 4 free yoga and meditation classes….. That’s it! Alongside these classes, you’ll also be provided with some advice and suggested recipes to help you get the best out of this mini challenge. Join in to receive Free access for 7 days. You can access these classes from May 13th until the 20th! This mini challenge consists of 3 full-length yoga classes by Esther Ekhart AND a meditation by Esther Teule, all on the theme of ‘detoxing’ the body and mind. 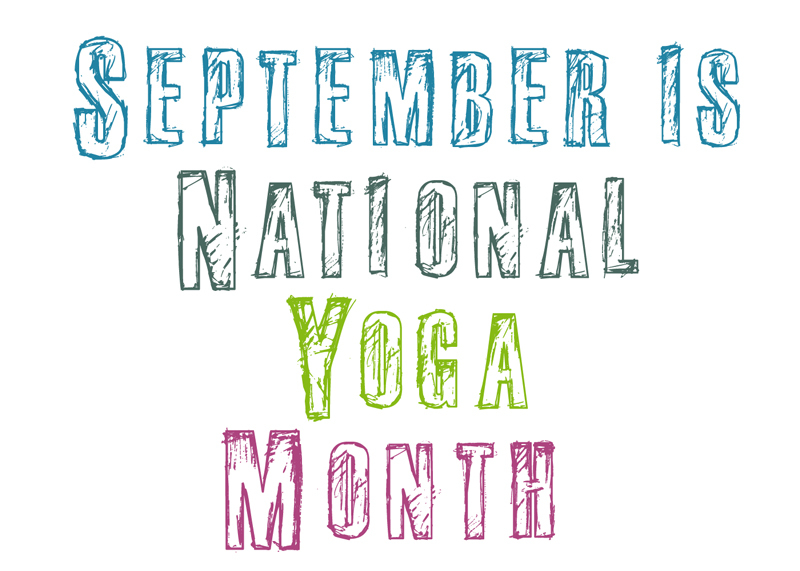 I’m excited to announce that it’s that time of year again, no not my birthday, its National Yoga Month!! You can join a worldwide community and celebrate national yoga month with other yogi’s. This month numerous studios are offering free classes, or even a free week of classes, or discount off your first month of membership if you sign up for a membership plan. You can check with your local studios and teachers to see what your options are, or take my suggestion below. My favorite studio EkhartYoga.com, is offering a limited time offer of your first month for $1 when you sign up now. There are numerous classes, programs, nutrition information and more. In honor of National Yoga Month the theme for September is a 30/30 Yoga Challenge [30 minutes for 30 days]. 30 minute classes will be suggested daily with three themes, Day 1 core, Day 2 balance, and day 3 integrating both in a class. The cycle repeats as we gradually increase our strength. I am in no way affiliated with EkhartYoga, I am just a humble yogi such as yourselves. I believe in promoting and sharing causes I care about. June 21st is the International Day of Yoga! In honor of this day Ekhart Yoga is celebrating by offering everyone a day of free yoga, meditations, and relaxation classes, which includes the highlight of the day: a 108 Sun Salutations class. There will be a class for beginner levels. More details and info at their site. You can sign up for alerts from Ekhart yoga directly and or follow them on Facebook. Who else will join me in this fun endeavor? This post is dedicated to those new to yoga, or who have stepped off the mat for an extended amount of time and looking for that push to get back on the mat. Like the title says, Are you new to yoga? Has it been a while since you practiced yoga? Do you consider your self a beginner? Are you looking for a beginner program? Are you looking to expand your yoga knowledge? Do you just want to check out Ekhart yoga? Esther Ekhart of Ekhart Yoga has a great incentive program promotion currently running. Only 99 cents for your first month of membership. More details can be found here it’s a really great deal and if I wasn’t already a member myself I would jump on this. You’ll be taught all the basics right from the comfort of your own home! So no excuses. You can register now to receive the email alerts / newsletters for the program. Try a free class with Esther before you sign up, so you can see if her teaching style will work for you. I don’t think you’ll be disappointed. Let me just say I am in no way affiliated with the site. I am not getting paid or compensated for this post by any means. I am just a regular person who enjoys the many offerings on EkhartYoga.com and believe in sharing the love. No time like the present so why not begin your Yoga journey now! Ekhart Yoga has created a 30 day free beginner challenge to use for yourself and or to share with others. Maybe you’re not a beginner but perhaps you want to try out a new style of yoga. Or mayhaps life became busy and you have not stepped on the mat in a while and have been procrastinating. Allow this to post motivate you back into your practice. Even if its been a while, or perhaps you need something more gentle for a time, no matter the reason don’t let anything hold you back from this. I encourage you to give it a whirl [even if you’re not new to yoga]. Word of Mouth really gets the word out, and while I’m in no way whatsoever affiliated with the site, Esther Ekhart is one of my all time favorite teachers [and she and or her team can be yours too]. I have included some info from the site below to get you going. I hope you enjoy. If you are new to Yoga, this is the place (and time!) to start your journey. From the 11th of March, four of the beginner programs below are free for 30 days. I wish you much enjoyment learning and practicing Yoga, and may you enjoy the many wonderful benefits that practicing Yoga will soon bring you! 2) Read Yoga Styles and Levels. It explains the different styles of Yoga we teach on this site. 3) Get on your mat and try out one of the free Yoga for beginners programs on the left! As the proud owner of the two disc DVD set from EkhartYoga , *Grin* I eagerly opened the box and saw inside that the disks come with a discount code. If you want to try out a paid very reasonable priced online yoga video membership, this code will save you 50% off your first month of membership [regular price is only 12.50 per month]. I am offering the code in a raffle contest to share, as I already have a membership and I am unable to use the discount code. Let me just say its well worth it!! Not only is it the season for sharing, but I also want others to experience this beautiful opportunity. Rather than just give the code away, I thought why not make the code giveaway fun and turn it into a raffle. Don’t let this code to go to waste!!! Here’s the rules to play. 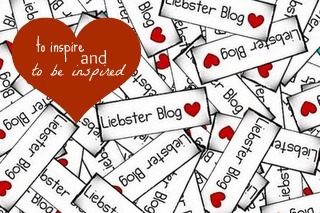 To enter, reblog & share this post. Spread the word. You must be following me. You must like this post. Winner picked using randomizer.org, and I will show a screen shot of the results. Once selected, if the winner doesn’t contact me back after 24 hours another will be selected via randomizer. *If you are under age make sure it is okay with your parents/guardians. Please bear in mind these rules if you enter. I have tried my best to keep them as simple and fair as possible. This contest will last one month, beginning 12/26/12 and ending 1/26/12. *Belated as I had to ensure giving away the code was okay to do with Ekhartyoga.